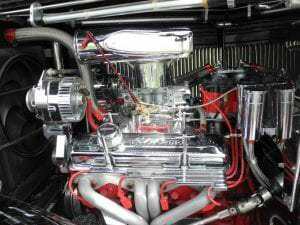 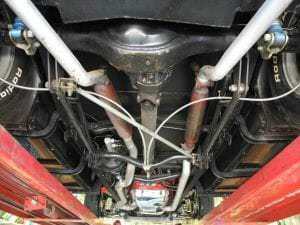 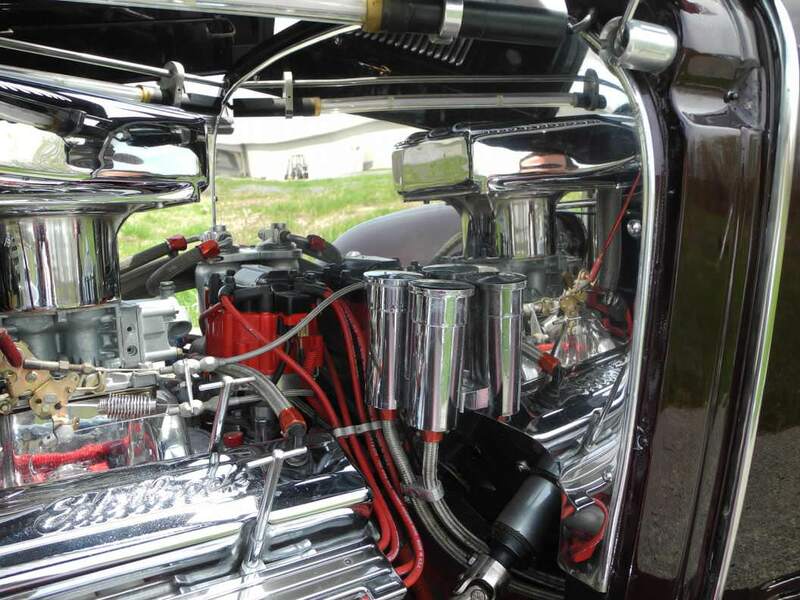 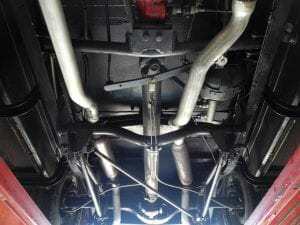 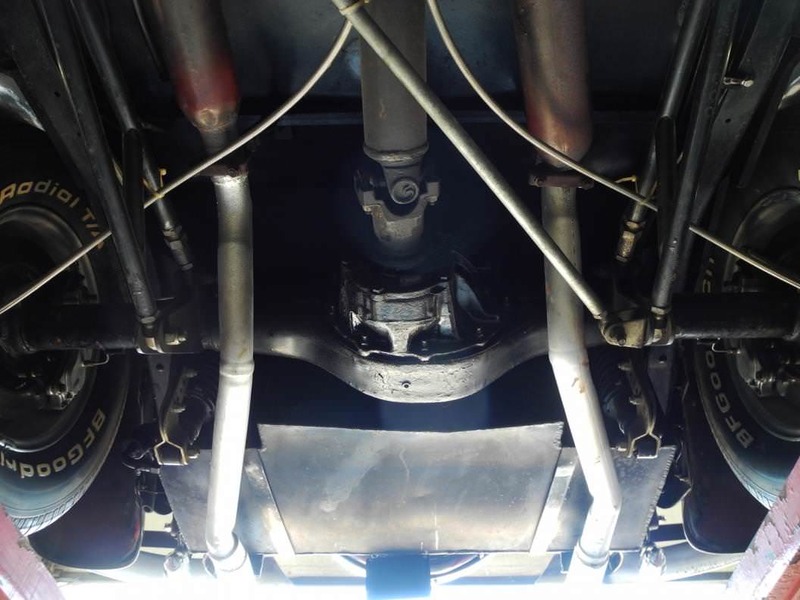 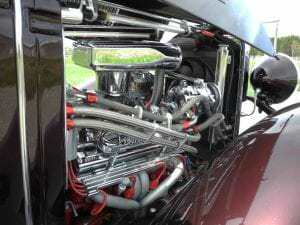 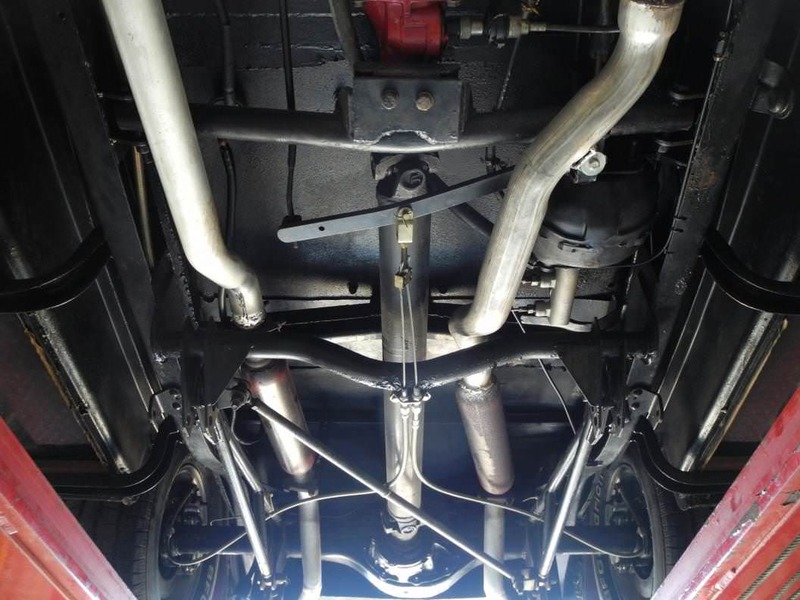 When it comes to building a hotrod, most enthusiasts will choose a Ford because of the aftermarket support, reproduction steel bodies, many chassis manufacturers and original parts available at swap meets. 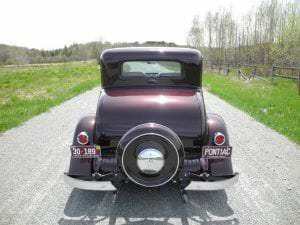 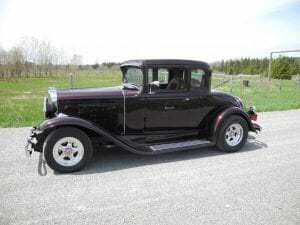 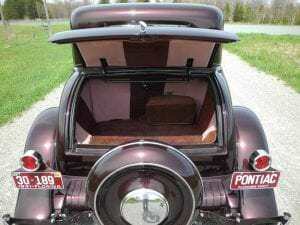 Online research shows more of these rare Pontiac five window coupes restored to original rather than made into hotrods. 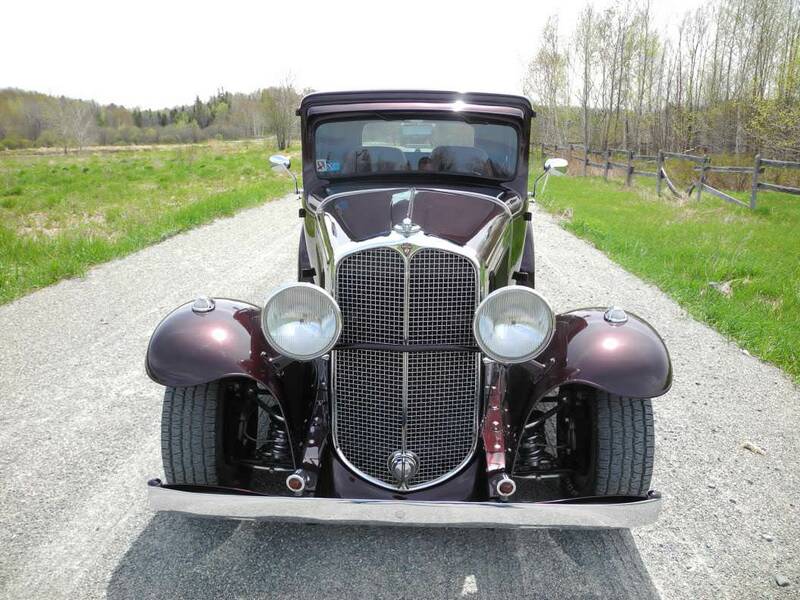 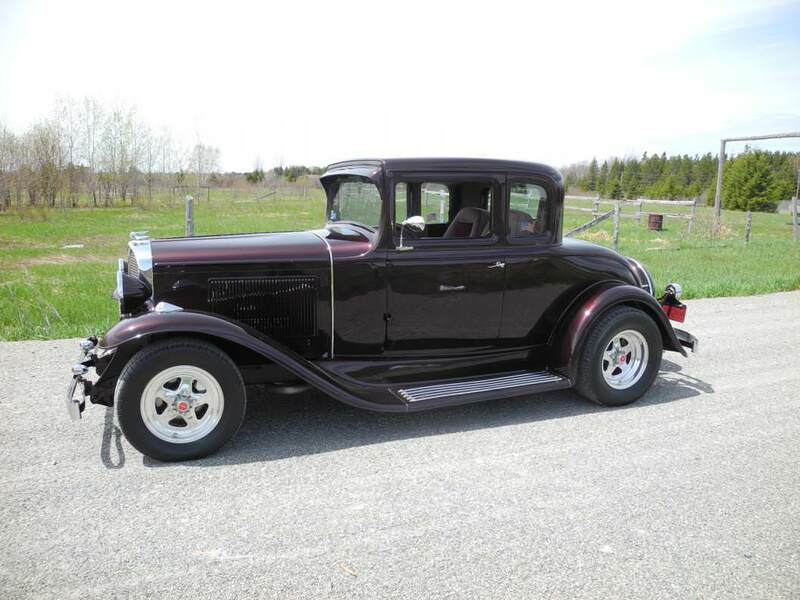 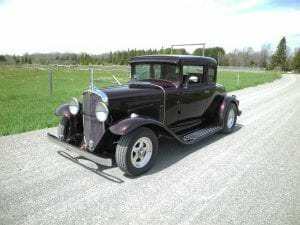 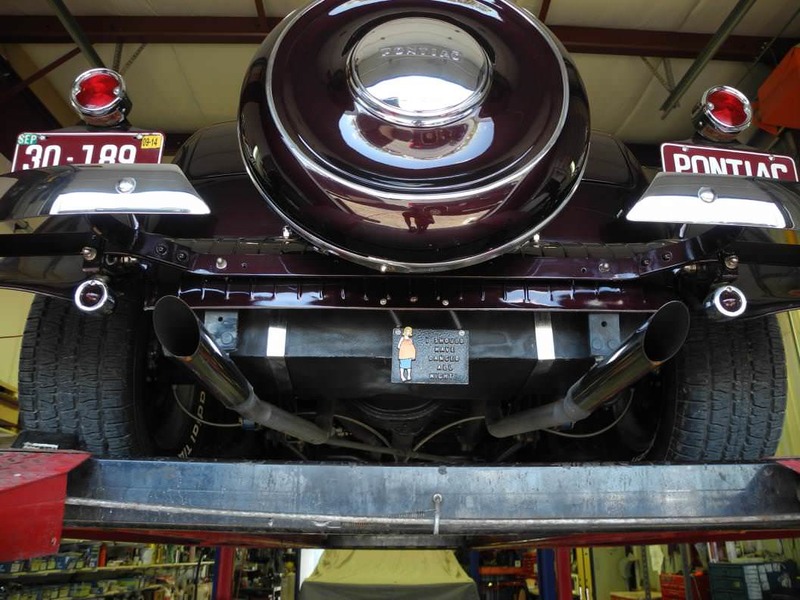 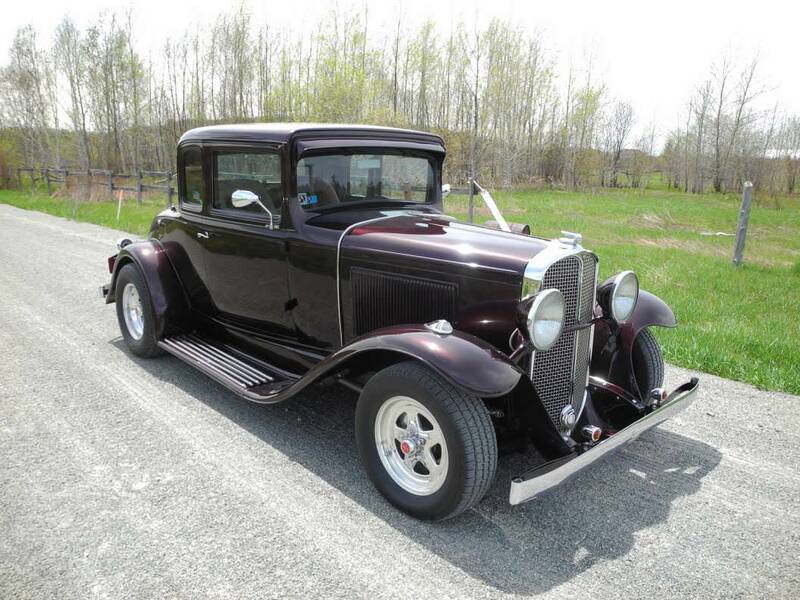 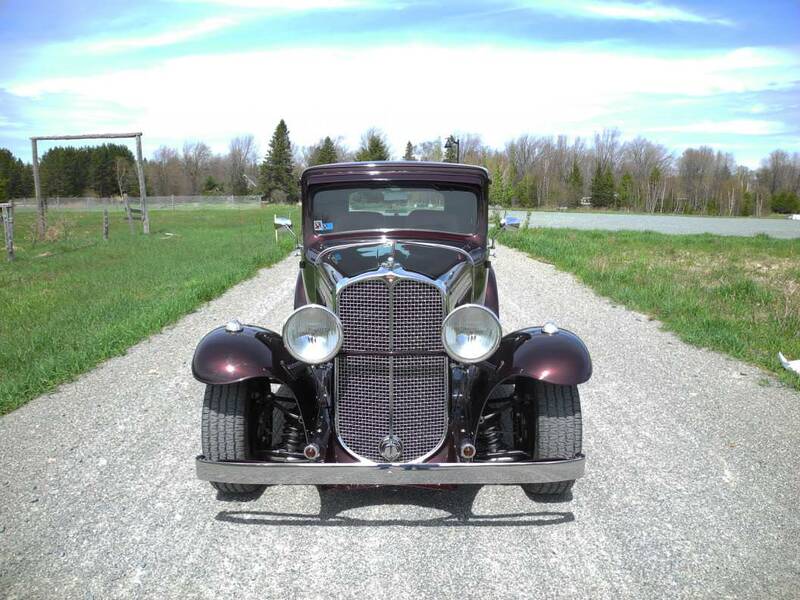 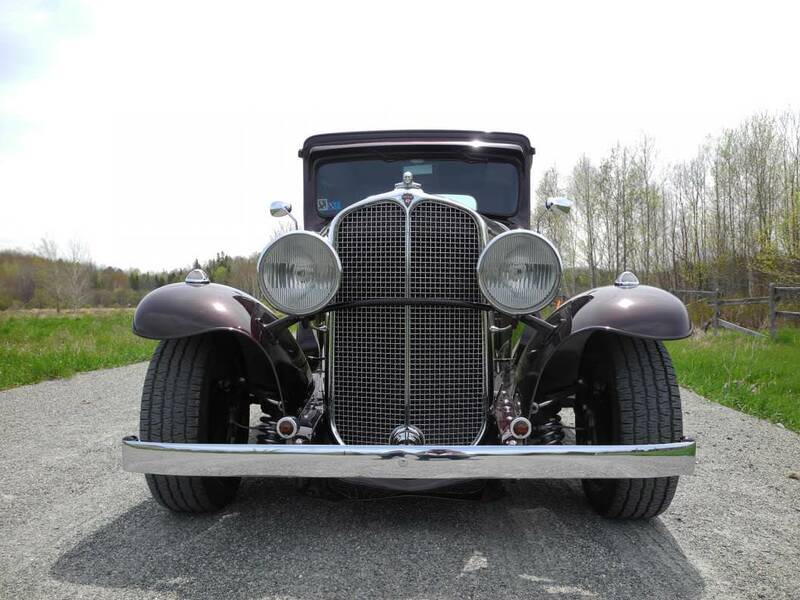 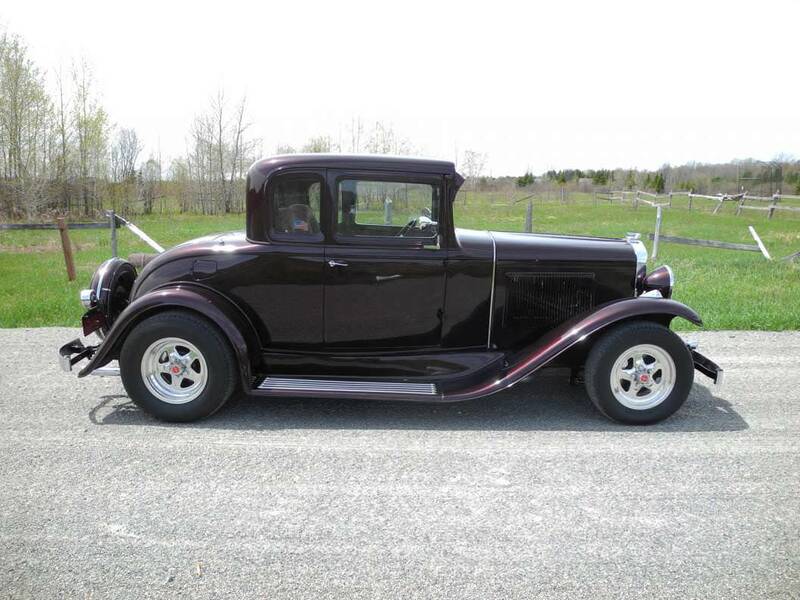 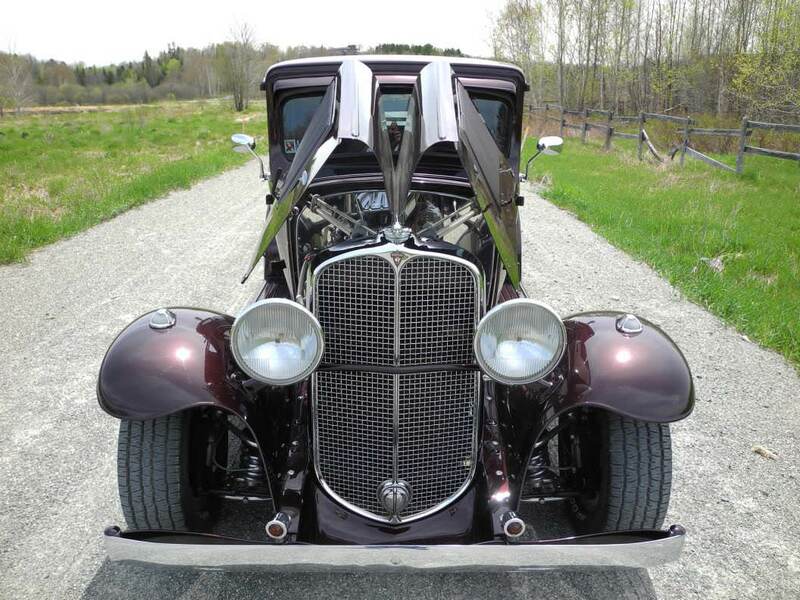 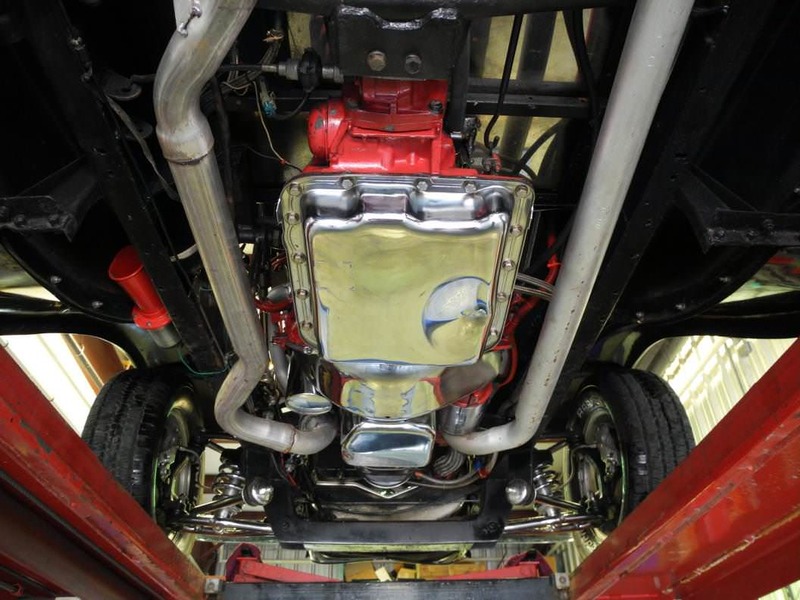 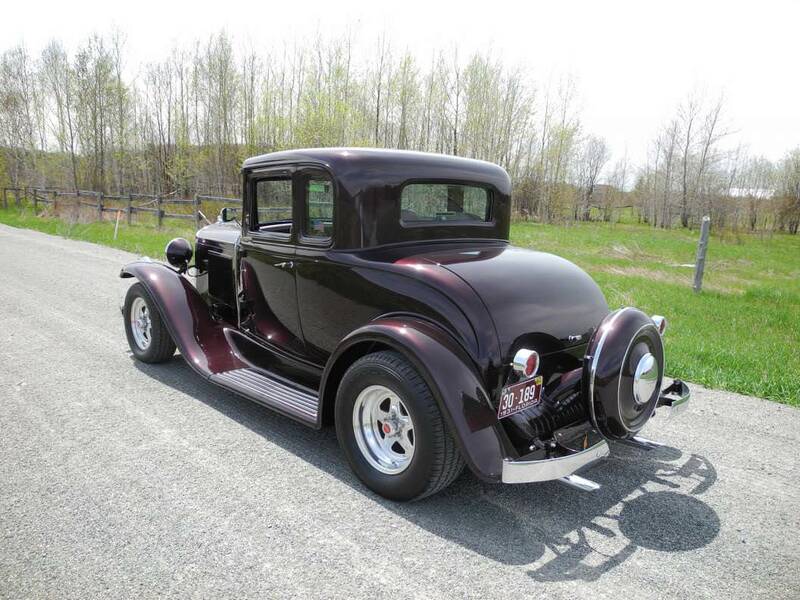 This all steel coupe was not only built to show, but drive as well, it’s supported with a Mustang II style front suspension with chrome tubular control arms and adjustable coil over shocks with rack & pinion steering. 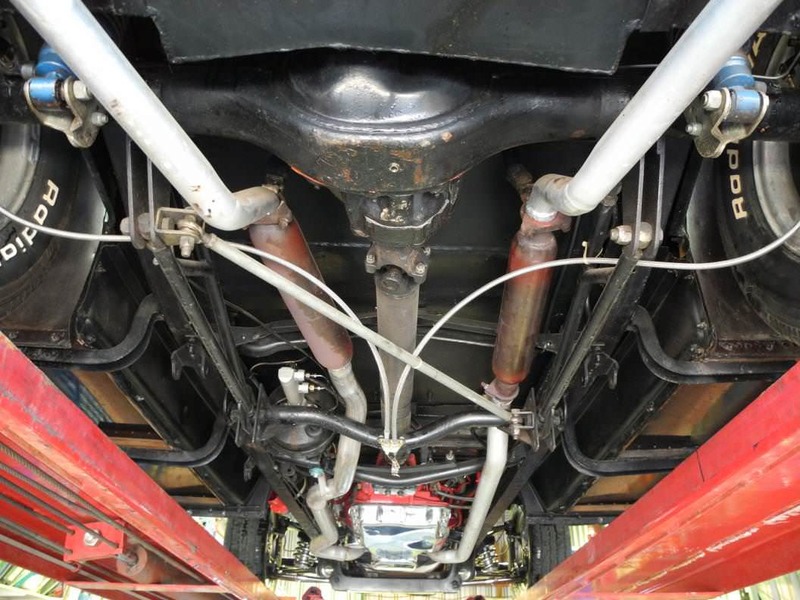 The rear is a ladder bar suspension with adjustable coil over shocks, a nine inch rear differential and four wheel power disc brakes. 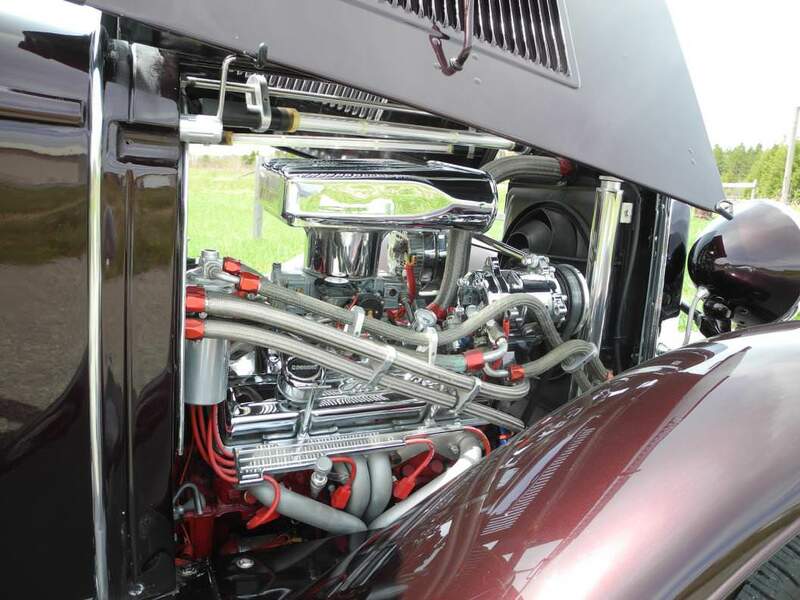 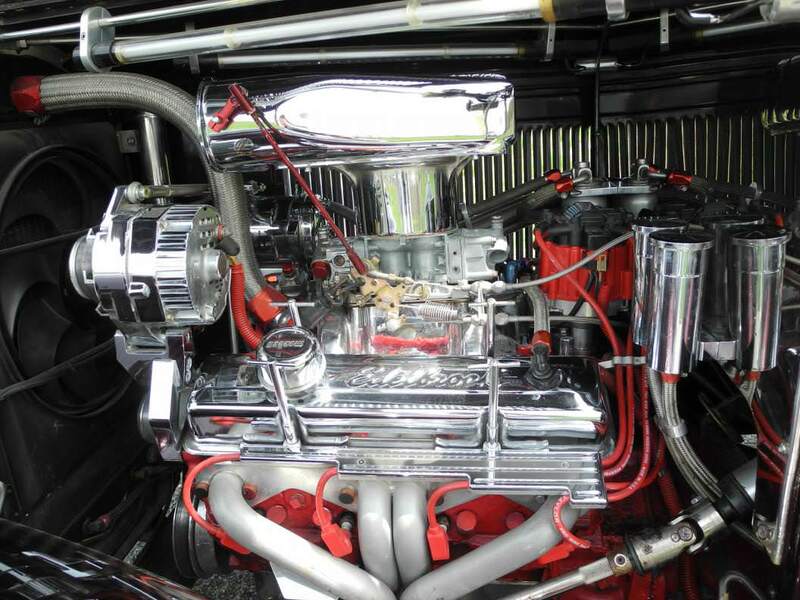 Equipped with a Chevy 350 small block V8, it’s lavished with many brand name high performance components, surrounded by numerous chrome and polished aluminum accessories and a one off dual exhaust system with a serious rumble. 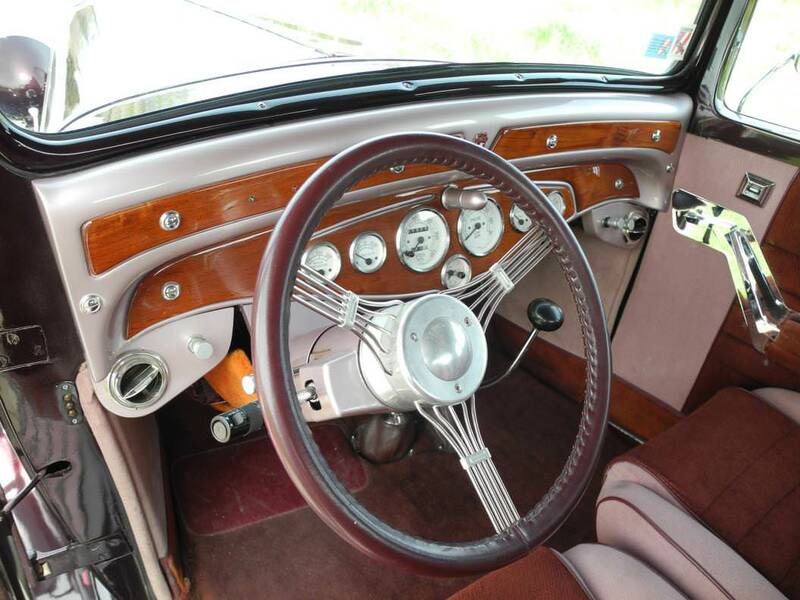 A four speed automatic overdrive transmission controlled by a custom Lokar shifter keeps the rpm’s down for long distance drives. 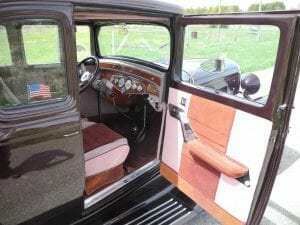 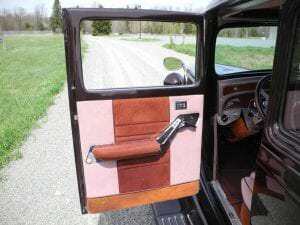 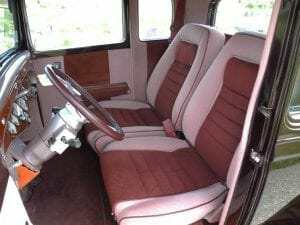 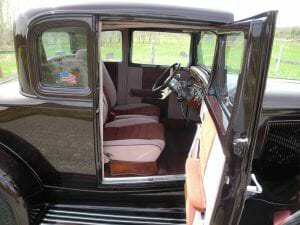 Several add on’s include turn signals, air conditioning and heater, power windows, tilt steering w/ leather wrapped banjo steering wheel, Alpine AM/FM stereo, full VDO instrumentation and several other too numerous to write here. 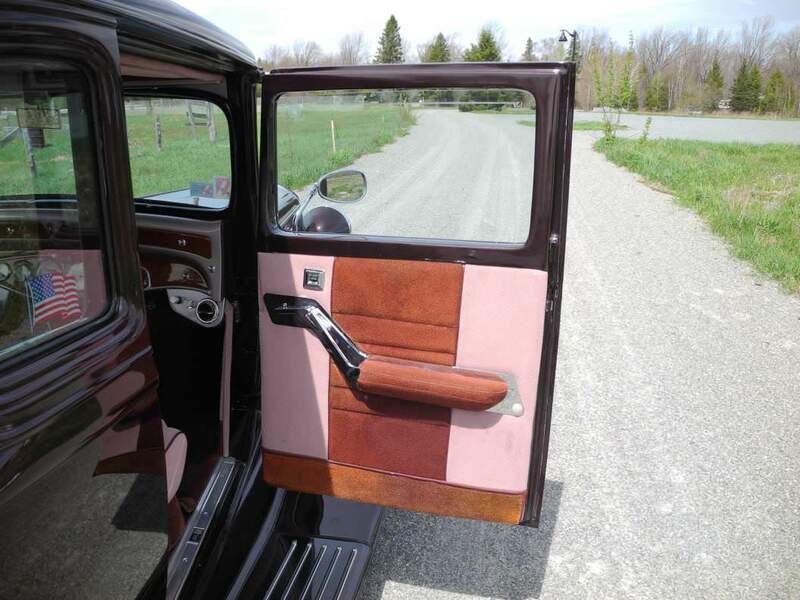 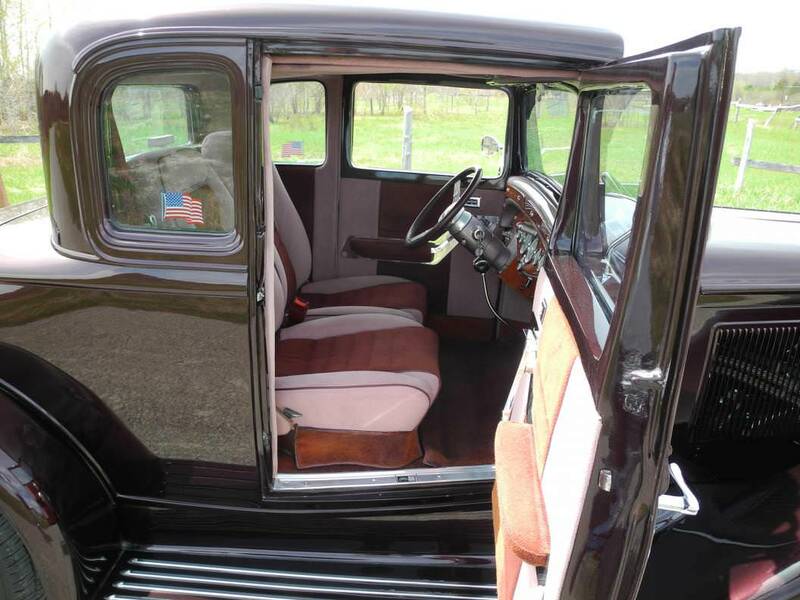 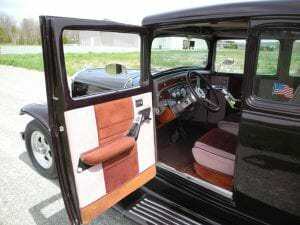 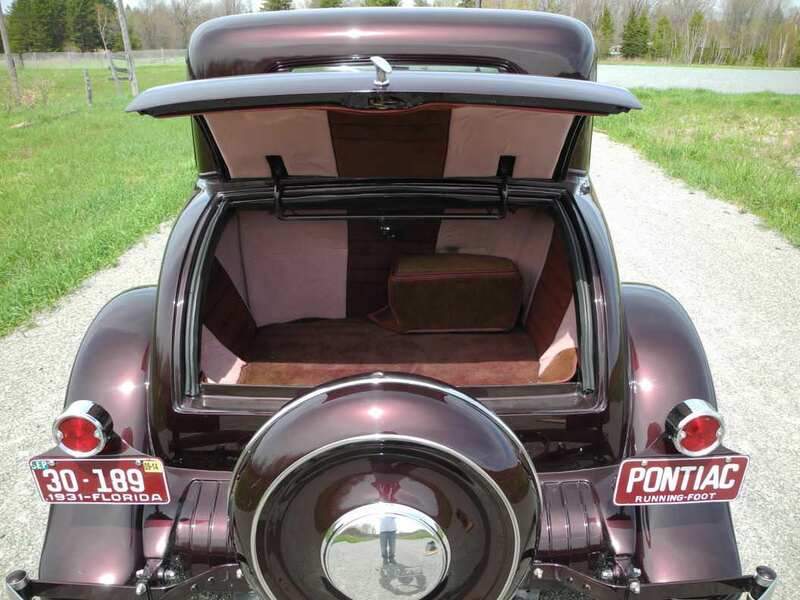 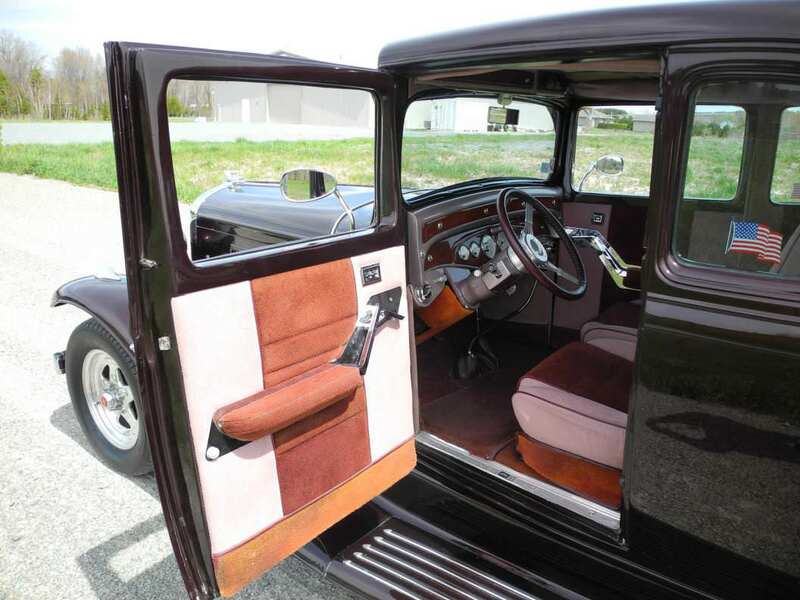 Finished in show quality burgundy enhanced with chrome bumpers, beautiful restored chrome grill, exterior mirrors and running board strips, it highlighted by two tone maroon cloth bucket seat upholstery which carries the same theme on the door panels, headliner and even into the trunk. 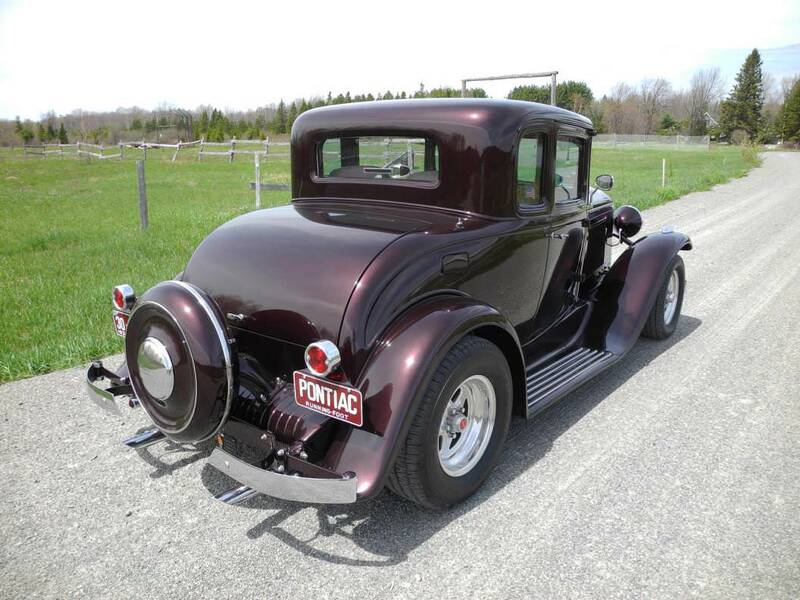 Finally, rolling on Weld Prostar wheels wrapped in 215/65-15 front and 275/60-15 rear BFG Radial TA tires. Sure a Ford may have been less money to build, but being different than everybody else is what this hobby is all about, but this amazing seldom seen Pontiac coupe will certainly draw attention wherever it goes. 1931 Pontiac Deluxe Hot Rod?